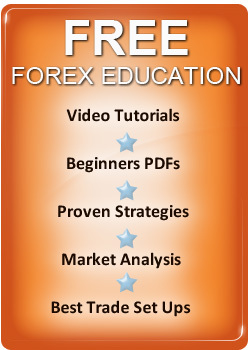 In this section, we will look at giving you some essential Forex trading advice for profit which is from our experience of trading for over two decades. The advice here will focus on expanding on some of the trading tips you can read elsewhere on the site and also, give you the best advice for achieving success in currency trading and in life which is - to believe in yourself. When I started trading, I got a job as a salesman selling currency investments and believed the hype that everyone was making money trading Forex markets however I soon got a reality check. I could see, clients were losing and it was the majority of them but even more shocking to me was, the brokers couldn't trade to make profits either, for trading clients or for themselves. The FX brokers at the company, who claimed they were giving profitable advice couldn't make money for clients and none bothered to have personal trading accounts. It was a reality check about the currency industry myth that brokers make money for clients. I saw at first hand, their trading tips and advice made no money, they simply relied on commission and client losses to earn their salaries. Now I am an experienced trader and I know why, a broker doesn't need to make money for clients, he can make a very nice living from commissions and spreads and there will always be people who trust their so called professional advice and think they know best but they don't. The public and beginner traders, also believe the endless stream of commonly accepted wisdom which is seen as the way to make profits. My own view is that when you look online, you should question most of what is considered common investment wisdom because the fact is that most of the material you read on this subject is not the way to trade foreign currency and make profits. You probably know that the majority of traders lose money and they do so in many instances because they follow currency trading advice online which they accept without thinking about it. The key to achieving currency trading success is to think for yourself and make your own mind up on the education you learn and also, on every trade you make - your opinion is as valid as anyone else's which we have pointed out elsewhere on this site. Forex trading success will be yours if you think and act alone - run with the pack and you will be a loser. There are many more examples of what we consider the best currency trading advice which doesn't agree with most advisors and we have backed the above statements up with facts but should you accept them without questioning them? Of course not. You should look at what we present in terms of advice and make your own mind up and see if you agree with them and decide to put them in your Forex trading strategy. All the technical tools and indicators you can use are fully explained so you can learn technical analysis for free which is a great way to trade the markets and very time efficient but if you want to trade news reports and use the fundamentals, you will find all the info you need online as well. As we stress throughout the site a simple trading strategy is all you need to make profits. One of our essential pieces of currency trading advice is to learn from the worlds' top currency traders who have made money and we have profiled many of them on this site. If you read their stories, you will come to the same conclusion that we did which is - methods that make profits are easy to learn the key to success lies in the way their executed and this means, getting the right psychology for success. Once you understand that your mindset is the key to success, you will understand that you can make long term profits. The key is to remove all outside inputs from your trading and start to free your mind and think without distractions from other traders. My own experience has led me to the conclusion that - everyone has the same chart formations to look at and generate trading signals from and everyone has the same indicators etc and the key I to use them in a different way to others. For example here is some personal trading advice which are trading tips which have helped me become a successful trader from home. Put your stop loss order away from other traders who may be looking at the same chart formation. Place it further back and redue leverage. Question really good looking trade set ups because if you see it as a good one many other people will to and this means, it could be a loser. Be patient and wait for opportunities which you really believe in and spend most of the time on the sidelines with no open positions. Over trading is a common mistake and one were all tempted to do Take profits early, if you suddenly make a lot of money in a short time period Use a timed stop loss. Most of your trading signals, should be in profit quickly if you have timed the move correctly and if the market doesn't move in the direction you want or the move is not as fast, as you expect get out the market. Listen to your sub conscious or your gut feeling about trades, in many instances its right Risk more on trades you really believe in and go for the big profit. Always think what can go wrong with a trade set up rather than how good it looks - question everything about it before you enter a trading signal. My subjective view of the best way to trade currencies is above and you will find a lot more material on all the above points on this site. In conclusion though my main points are to be an individual and trust your judgement and your instinct because if you do, you will free yourself from the pack of losers, see the reality of what you need to do to achieve currency trading success. You can become a successful trader from home, making some great profits from global foreign exchange markets which are the best profit opportunity for profit - if you believe in yourself, it really is that simple. To check out more essential trading tips for profit - click here!